Why choose to study Masters in Travel & Tourism? 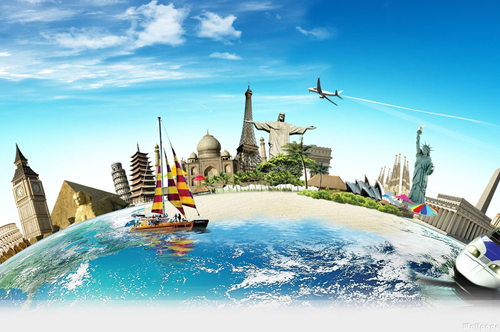 Travel and tourism is a highly lucrative sector. This is one area of profession that would not witness a slack at any time. Pursuing a Masters in Travel & Tourism would fetch you skills required in the profession and necessary to be absorbed in the management role. From hotel management to working for a travel company or working as a resort representative, there are numerous options available when it comes to Masters in Travel & Tourism. It is not hidden fact that people who want to pursue a career in Travel & Tourism have the passion for travelling to newer places or countries. On the same note, it would be considered ideal to pursue a Masters in Travel & Tourism abroad. It is likely that during the course of your study you would be required to travel, or venture to new places as a part of the study module. It signals that the fire of adventure should be kept burning inside you. Apart from this, maintaining relations with people is very vital to this role. You would be constantly coming in contact with a mix of people from various countries, backgrounds and cultures. A lot of time you would be required to work with public. At such a point you are expected to be patient, which could be a challenge at a time when handling difficult people. Studying Travel & Tourism opens up a plethora of careers. You can choose to work at a hotel or a theme park; all as per your interests!